Only North Carolina grown and processed products, donated by companies and farmers in the state, were served. Celery came from Graham, flour from Shelby and a three-pound lemon from a Pollocksville farm was used to make lemon pies. Klondike Farm in Elkin provided Guernsey milk in capped bottles packed in ice. The 350 guests for the event represented the North Carolina Press Association and Council of State. The purpose of Governor Gardner’s Live at Home Program was to promote the agricultural self-sufficiency of the state. His partners in the endeavor were N.C. State University, the N.C. Department of Agriculture and the N.C. Cooperative Extension. The dinner was a resounding success as it encouraged many newspaper editors to publish Extension materials and promote the program. 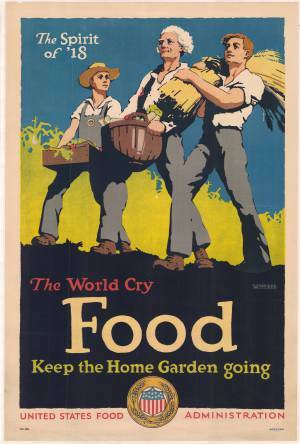 The program itself was successful enough that farmers came closer to satisfying the state’s food needs in 1929 than in any other year since World War I.